Thank you for coming to the second Book Session. The discussion on Kartini Nggak Sampai Eropa was held in friendly atmosphere at Fab Cafe, inside Gramedia book store - Grand Indonesia. The question about title was being asked, and several people had different opinions. I tried to conduct "Alzheimer's eye test" and only two amongst six could read 6 'F' throughout the sentence. Next, we will meet for English Book Session (What the Dog Saw, by Malcolm Gladwell) on Oct 9 or Oct 10. Please tell us your preferred date. On every Book Session, we will also have the time to swap books. Hopefully by doing this, we are encouraging one another to update readings and transfer knowledge. 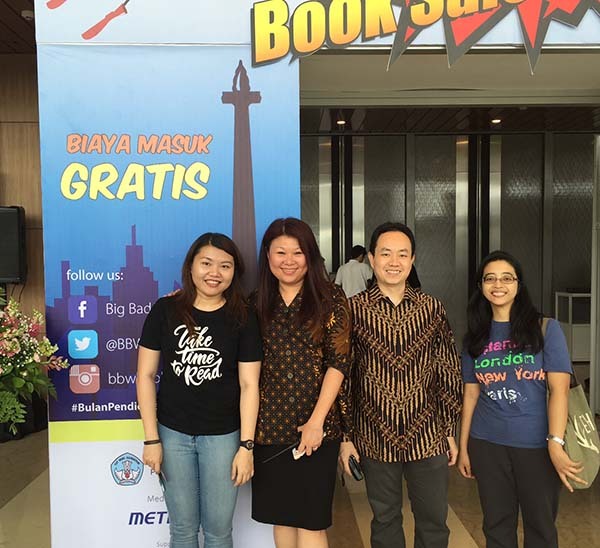 Keep on reading, Jakarta!